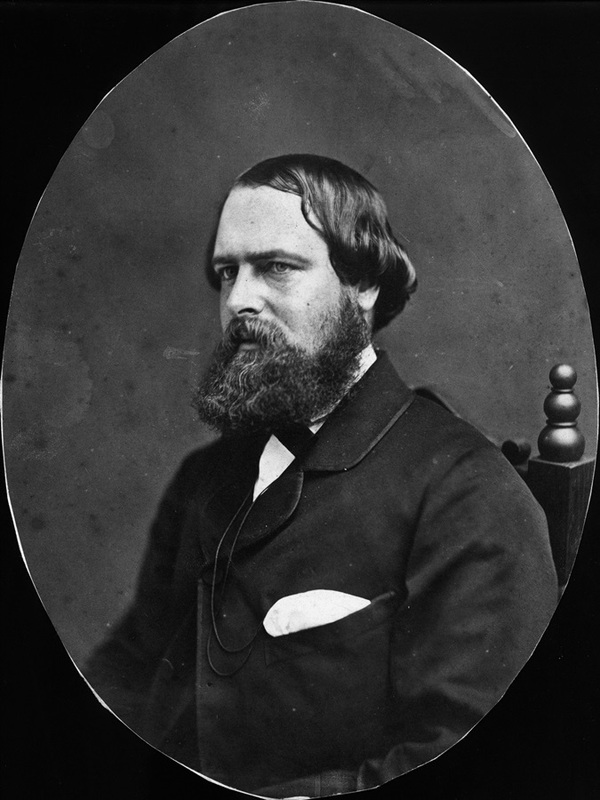 Sir Robert Herbert, Queensland Premier and Colonial Secretary 1860-1866, SLQ 15693. Robert Herbert was appointed Premier and Colonial Secretary following the first elections held in the new colony of Queensland in May 1860. Robert Herbert’s job was not a sinecure. He was informed by the British Colonial Office he would only hold the position if he secured election to the Legislative Assembly and enough votes in the House. In the elections held in May 1860 Herbert stood for three constituencies and was returned unopposed in all three. He chose to stand for Leichhardt. When Parliament met on 22 May there was really no-one to challenge his appointment as Premier, supported as he was by both the Governor and the press. He was still only 28. After 22 May 1860, Queensland had a government with a Premier who served as Colonial Secretary and who was responsible for all matters affecting the colony that were not the responsibility of the Treasurer or the Attorney General. Herbert’s office was in the building on William Street which had previously housed the Commissariat Officers. It became known henceforth as the Colonial Secretary’s Office. Herbert never formed or headed a political party—and though often seen as being a conduit for the comparatively activist governor, regularly reporting to the public in the newspaper with the words By his Excellency’s command—he had the skills to head a not-easy parliament for six years, including negotiating the financial settlement with New South Wales, getting Acts passed, and shaping the administration of Queensland. In their book The Engine Room of Government: Ross Laurie and others note that Herbert’s time as Colonial Secretary stands as the longest, continuous time in the role, and that he was considered a better administrator than a politician. His letters to his mother and sister indicated the long hours he worked when Parliament was in session, often from six a.m. one morning to one a.m. the following. It was probably helpful that Herbert had become a foundation member of the Queensland Club and also accepted chairmanship of the Brisbane Hospital Board. He was known for his charm of manner and conversation and his considerate reception of all comers. He was an aristocratic outsider in a new colony, who dressed carefully and spoke quietly but also enjoyed an active, outdoor existence. Herbert was not a charismatic speaker. He was quite short; his forehead was high and his head noticeably large in proportion to his body. Being short-sighted, he sometimes used a monocle, which looked like some affectation. His voice was soft and his manner invariably smooth and polite. He prevailed in the Queensland parliament because of his intellect and administrative ability and also because of the lack of any significant opposition. Robert Herbert, together with John Bramston, an early school friend of Herbert’s who was appointed to the Legislative Council in 1861, purchased 50 acres (20.2 hectares) between Victoria Park and Breakfast Creek. Here they established ‘Herston’, the stone house and productive property from which the suburb later derived its name. They both loved rowing and camping and horse racing. Herbert also invested in cotton growing and in a sheep station in the Burdekin area. Robert George Wyndham Herbert had an honourable career ahead in England, eventually serving as permanent under-secretary in the Colonial Office for 21 years, and being knighted. The office of Queensland premier and colonial secretary moved from its offices in William Street to the first stage of the new Treasury Building in 1889.